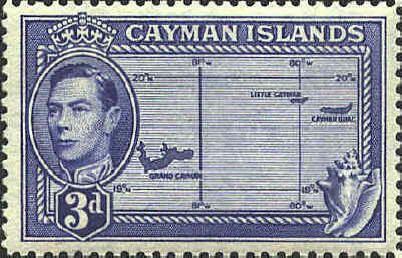 The Cayman Islands are three islands in the Caribbean Sea about 200 miles northwest of Jamaica. Formerly a dependency of Jamaica they are a British Crown Colony. Ceylon changed its name to Sri Lanka when it became an independent republic within the British Commonwealth in 1972. 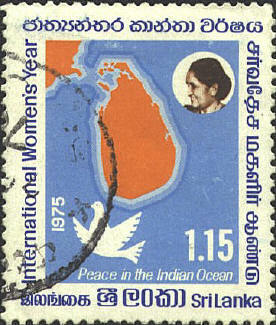 The stamp was issued in 1969. 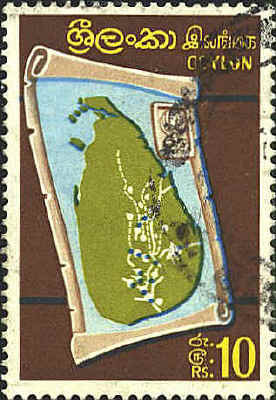 It shows a map of Ceylon with agricultural development stations.